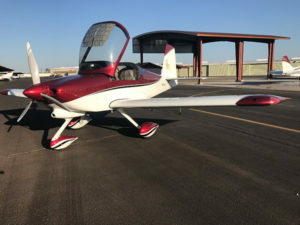 "Arizona's Finest and Friendliest Airpark"
Extras include nav/strobe/landing lights, electric aileron trim, simulated leather upholstery, set of wheel fairings, winger locker kit L/R, Sensenich ground-adjustable prop, Jabiru 3300A/120hp engine, Zenith 601XL firewall forward kit. $45,789 invested – make offer. Click HERE for flyer. Contact Jim Capistran, PO Box 2391, Overgaard AZ 85933. 602-809-2057. A very nice aircraft built by a two time offender (not me) with lots of nice details. I hate to part with her but a move to Hawaii makes that almost inevitable. 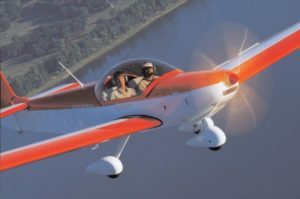 2010 RV-7A, 458 hrs TT, Aerosport O-375 205HP, FP Catto prop (good combo of climb/cruise), Dual Skyview 10” (Terrain, engine monitoring, two axis auto pilot, ADS-B in/out (traffic and weather), Apollo (Garmin) SL40 Comm, PSEngineering 7100 stereo intercom with CD/MP3, LED nav/strobe lights, Dual controls (stick, trim, PTT, brakes), Leather interior (Oregon Aero). Looking for $105k, based at Mesa Falcon Field (KFFZ).For more info, email Steve Brown n224gr@gmail.com.